There are so many Heroes blogs out there. Do you ever go online to see what the fans have to say? Sendhil: I’ve purposely stayed away from the blogs, just because it makes me nervous. [Laughter] I know they’re out there, and I know that one of the main reasons why our show has taken off is because of the blogs, and the support we’ve had from them. We’re incredibly appreciative. Masi: And I actually agree with Mohinder. The online community is so vocal, both pro and con. They have strong opinions, you know. Sometimes I do read things, if my friends send me links. Otherwise, the writers have some great things going, and we just trust them. 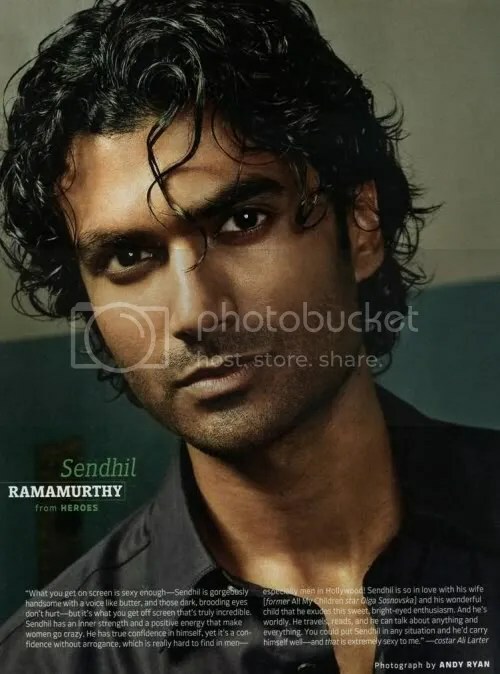 Oddly, acting opportunities grew in the aftermath of 9/11 as films and TV cast actors of Indian heritage as Middle Eastern characters, says Ramamurthy, a Chicago native who speaks in Indian-accented English on Heroes.